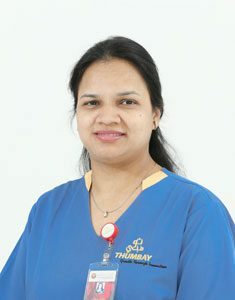 Dr. Aparna Pandey has a substantial experience in the field of General Dental Practice and has received specialized training in Periodontics. She received her Master’s Degree (MDS) from Rajiv Gandhi University, Bangalore, Karnataka, India and earned the prestigious Fellowship of the International Congress of Oral Implantologists (FICOI). She has extensive clinical experience in Basic and Advanced Periodontics Surgical Procedures.